Q: How should we acknowledge our sponsors? 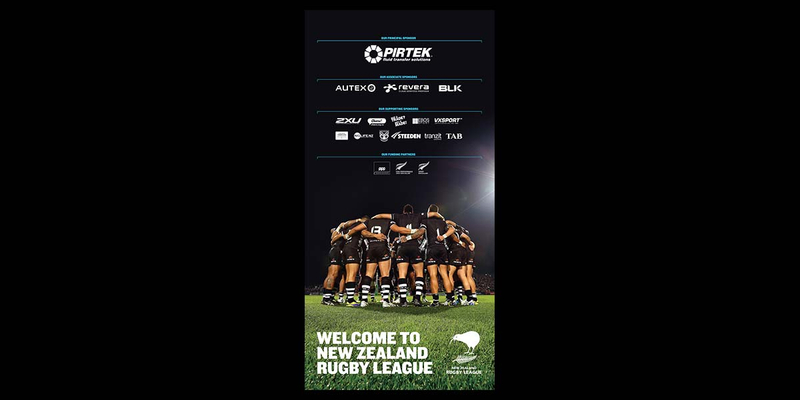 Angle: Welcome to New Zealand Rugby League. 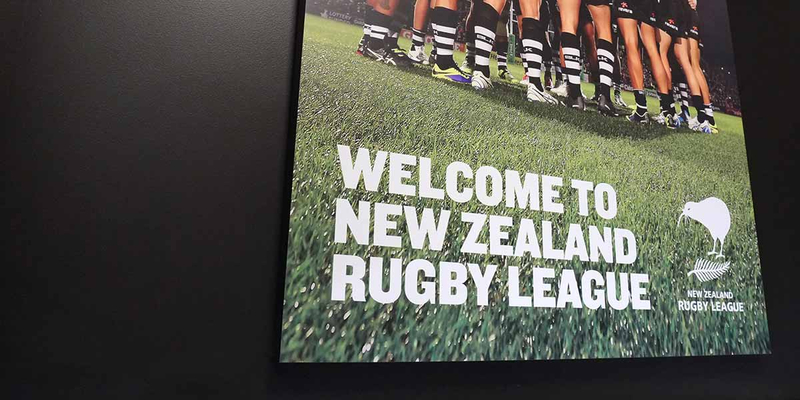 The funding and contributions that NZRL’s sponsors and partners provide are vital to the ongoing growth and development of rugby league at all levels in this country. 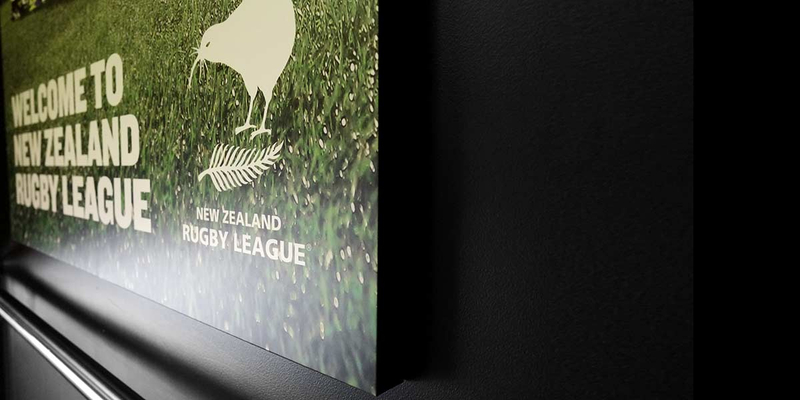 An outdated sponsor panel at New Zealand Rugby League’s Head Office in Auckland needed to be replaced, so Angle was asked to create new concepts and artwork and to oversee the production of a suitable replacement. The 1.2m x 2.4m finished panel is hard to miss, and deliberately so. 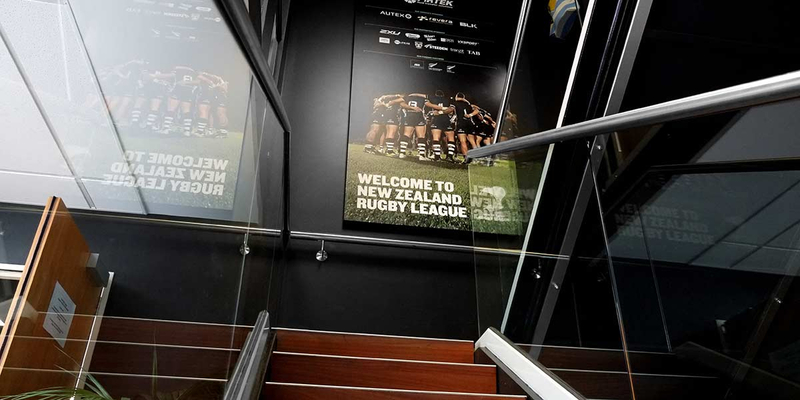 The solution acts as a directional sign, guiding people from the ground floor entry point, up the stairs to NZRL reception. 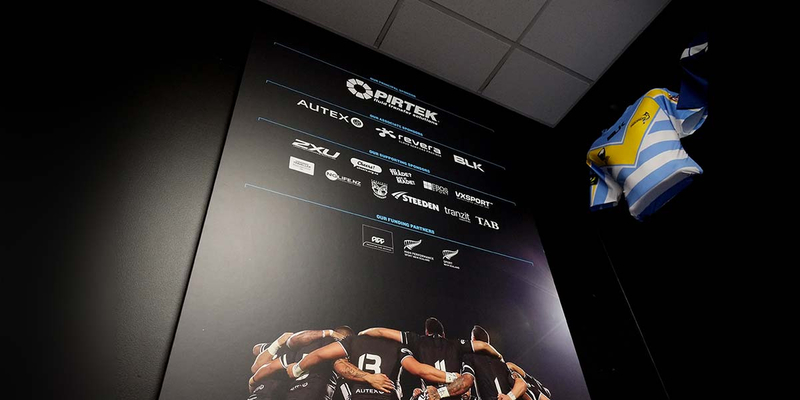 A Kiwis team photo from one of Photosports professional photographers provides the perfect backdrop on which to display the hierarchy of sponsor and partner logos. 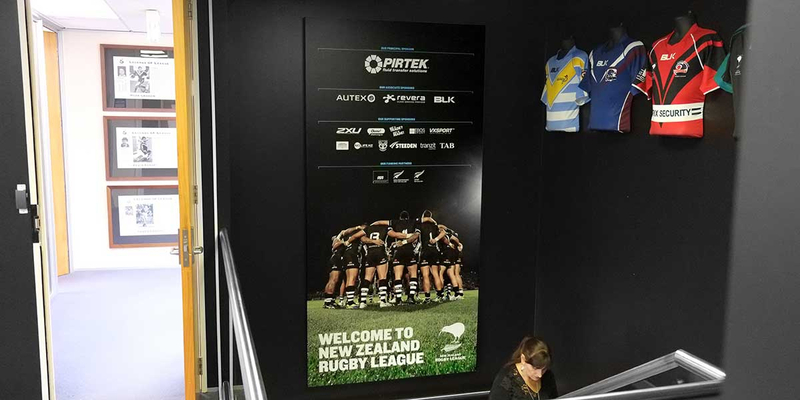 A large format digital print is laminated and flush mounted onto 40mm thick board and edged with black for a slick, hard-wearing finish, to display the sponsors with the respect they deserve.